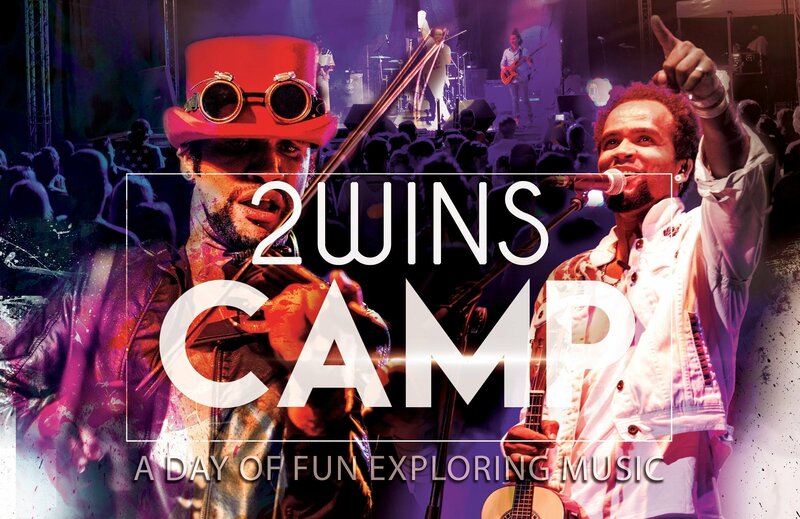 2wins Camp – Open to Instrumental Musicians! Get ready for the most fun you will ever have at a music camp… Guaranteed! Learn from professional internationally touring artists how to perform, improvise, jam, collaborate and grow as a musician. With over 30 years of combined professional teaching experience, the Brazilian 2wins will help you rediscover the magic and fun of music. Plus you will get to show what you learned on the big stage in front of over 1,000 people in the Amphitheater. Don’t just play music – PERFORM. You won’t learn this in music class! At least one year experience playing your instrument, must bring your own instrument (no instruments will be provided), a positive attitude. Space limited to the first 50 students per class. Early registration strongly recommended. Registration deadline July 8. Friday July 22nd 5:30pm: Your performance in the Amphitheater with the Brazilian 2wins!